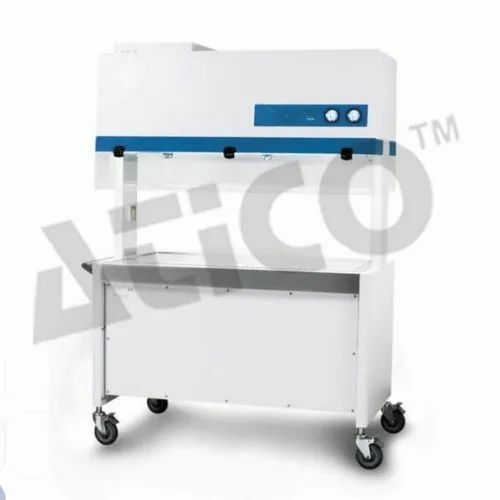 ATICO Medical Pvt. Ltd. are manufacturer, supplier and Exporter of Dual Access Animal Containment Workstations. Microprocessor allows the operator to easily access and control all cabinet functions on the LCD screen. Audible and visual alarms alert the operator to unsafe sash position and low airflow (detected by our proprietary airflow sensing technology). Two eye-level Minihelic® pressure gauges monitor the gross airflow changes across each blower system to indicate the amount of airflow disturbance. Antimicrobial powder coating prevents surface bacterial growth and enhances operator safety.